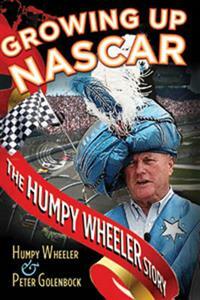 In 1949, Humpy Wheeler attended his first NASCAR race aged 11, and from then on spent as much time in the pits as he could, coming to know many of the sport's leading pioneers, and working in just about every job NASCAR had. He began to promote racing at Carolina tracks like Concord Speedway, Robinwood and Starlight Speedway, often using his fists to keep order, and with a gun by his side to guard the purse in the rough, early days of NASCAR. This blow-by-blow account - sometimes literally! - takes the reader from the early days of rough-and-ready stock car racing along an exhilarating ride with one of it's wildest prompters. A few weeks after driver Cale Yarbroughgave the less-than-complimentary nickname 'Jaws' to rival driver Darrell Waltrip, Wheeler bought a giant dead shark, placed a dead chicken in the shark's mouth, and had it driven around the track on a flatbed truck before a race at Charlotte - Yarborough's sponsor at the time was Holly Farms Poultry. In 2007, Wheeler announced that the Bank of America 500 would feature an 'all-you-can-eat grandstand,' where fans would pay a set ticket price, and would then get to eat as much as they wanted of the grandstand's food before, during, and after the race. The publicity for this event included Nathan's Hot Dog Eating Contest champion Joey Chestnut at the press conference - the man who invented the pre-race show, helped NASCAR become the six-billion dollar industry it is today, and has his own programme on Speed TV, the "Humpy Wheeler Show" - a book not be missed by racing fans.